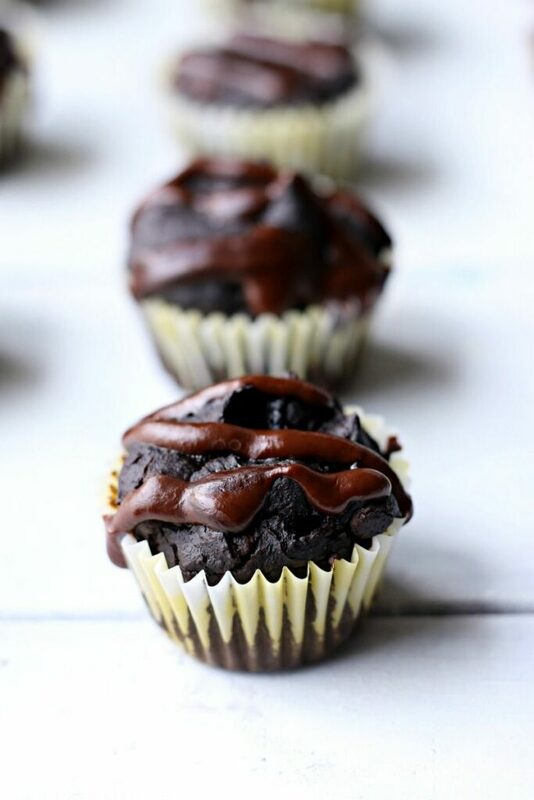 Chocolate cupcakes that are both vegan and grain–free with a sneaky fruit puree to make these deliciously tender & divine! 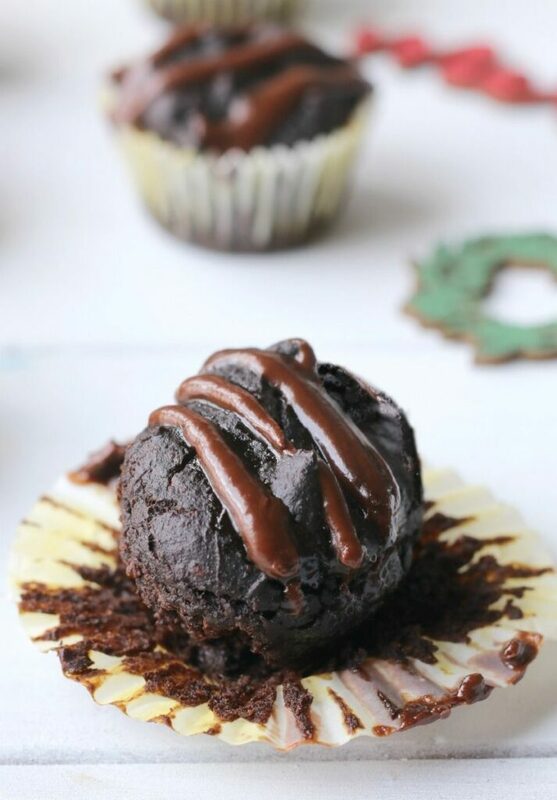 Did you ever think you’d see such a decadent, grain-free chocolate cupcake? And it’s not just that this sweet delight is grain-free, it is also free from dairy, eggs, nuts, soy and refined sugar. Basically it’s the most delicious, guilt-free, chocolate treat you can indulge in! Whether you are wanting to make a change for the New Year, looking to remove certain ingredients from your diet, or just want have a healthier option to give your family…then this recipe is for you! Today’s chocolate cupcakes are for all the true chocolate fans out there and lucky for you, there is a extra dose of chocolate in our silky, smooth drizzle. You just can’t beat chocolate on chocolate. 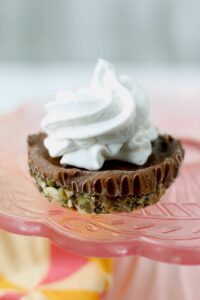 Of course, you can make it even more decadent by piling on ganache, fudge icing or fluffy buttercream, but for the sake of our waistlines, we’ll be sticking with the drizzle right now. It’s perfectly delicious, without going overboard. When I say these are the BEST vegan, grain-free chocolate cupcake you will ever make….I’m not kidding. So grab your aprons & let’s get started! 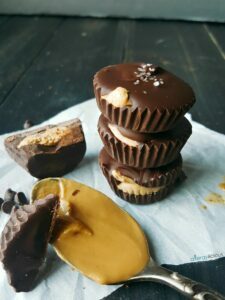 The Best chocolate cupcakes that are both vegan and gluten–free with a sneaky fruit puree that makes these deliciously divine & healthy! In a food processor or blender, combine pumpkin puree, avocado, egg replacer, agave, coconut oil, coconut flour, cocoa powder & baking soda. Basically everything EXCEPT chocolate chips. Blend until smooth then fold in chocolate chips. Bake 18-20 minutes. Remove from oven and let cool then remove and finish cooling on a wire rack. While cupcakes are cooling, make your glaze, if using. In a glass bowl, melt chocolate chips and agave in 30 second increments in the microwave (or stove-up using double boiler method). Whisk in coconut oil until smooth and shiny. 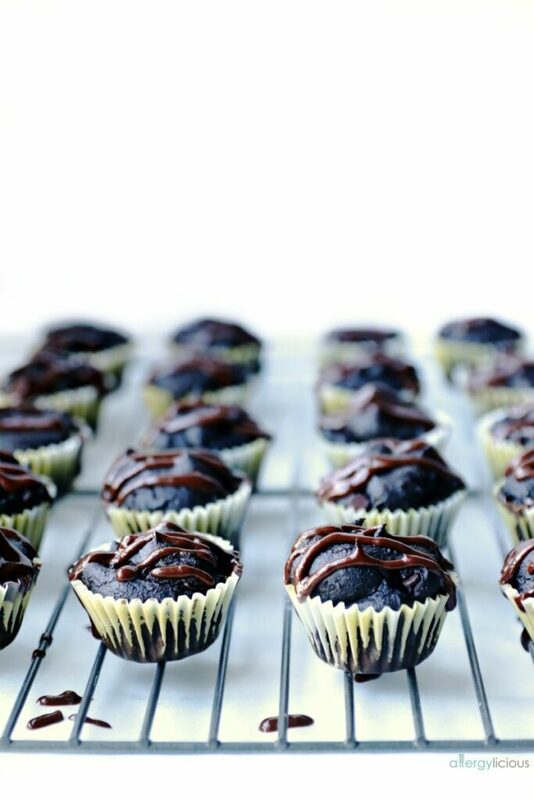 Place wire rack over parchment liner & drizzle tops of chocolate cupcakes with glaze. Because these cupcakes are grain free, they won’t rise as much as if using flour. Therefore, I filled my cupcake liners approximately 90%. Need a few more health-ish chocolate desserts? Craving more? Sign up for the Allergylicious newsletter for a fresh serving of content delivered every week to your inbox! Grab a copy of my eBook and stay in touch on Facebook, Twitter and Pinterest for all of the latest updates. These looks so decadent! That texture looks so perfect! I love the addition of the pumpkin and avocado! You said it…..so decadent! Hope you get to try these soon. These sound amazing. They must be so moist with both pumpkin puree and avocado! Could you sub anything for the Avocado? The gluten-free daughter is Ana to it! They look SO GOOD! I haven’t tried anything else, but if I had to, I would add more pumpkin puree in its place or maybe a mashed banana. I’d love to hear what you decide on and your results! 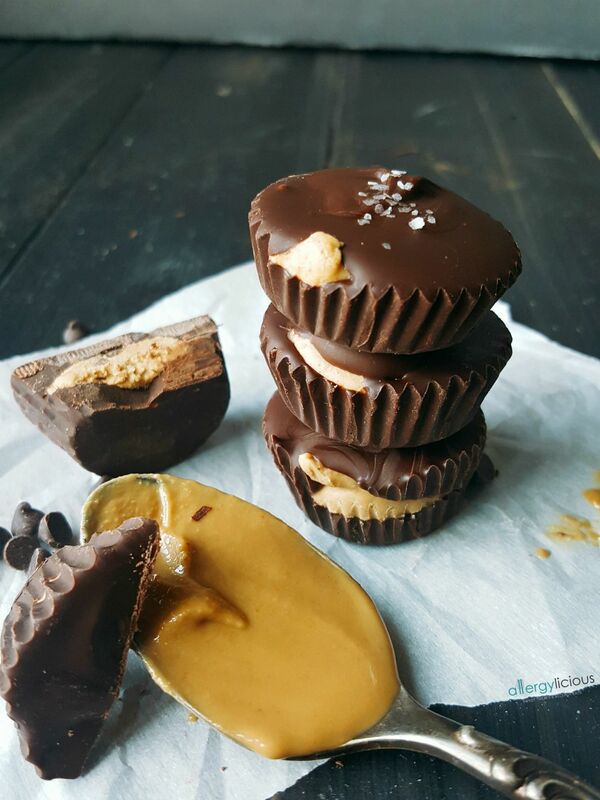 Oh my goodness, these are downright healthy! I can’t believe you didn’t use any gums either. These look so rich and luscious but yay for allergy friendly. Love it! I am blown away by how chocolaty these look! I haven’t tried the egg replacer, but it seems that it would be a great thing to keep on hand. 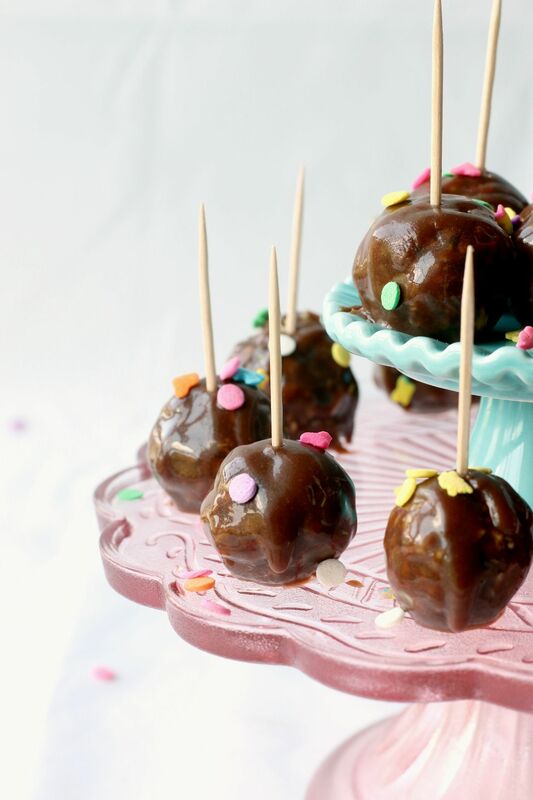 Oh my word those sound amazing and so easy to make! I definitely need to try them. Do you think I could use a regular egg in this recipe? I’m sure you can use an egg instead of a replacer. Let me know how this turns out Kortney. Oh my gosh, these look so amazing! I love the addition of avocado. I can’t wait to try them out! Thanks Kristen. It’s the first I’ve added avocado in a cupcake and I’m so glad I did! Get the recipes you crave straight to your inbox.